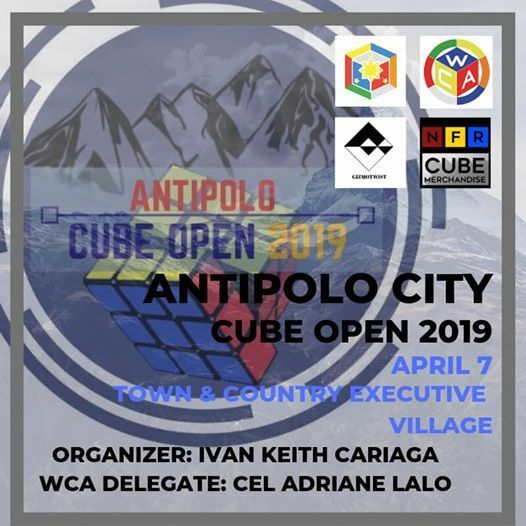 WCA competition in Antipolo is back! 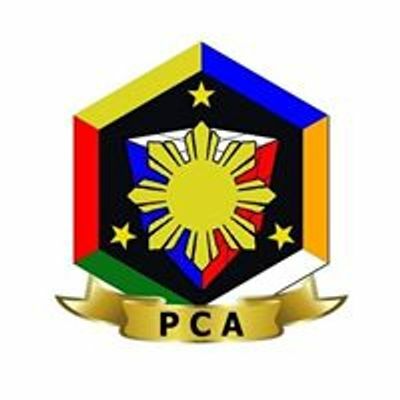 Online registration is now open from Feb 20, 2019 to March 30, 2019. 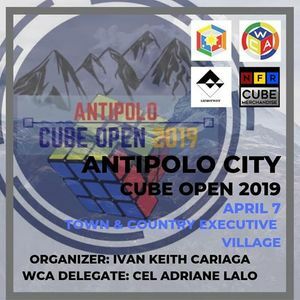 WCA website registration is only until March 29, 2019. Payment is until March 31, 2019. Payment deadline and online registration may close earlier if the competitor limit is reached quickly. Wait for the payment details to be emailed to you. Submit the payment receipt as instructed in the email. NOTE: Payment for multiple competitors can be collated in one transaction as long as all concerned participants are registered on the WCA website.